I initially came to Canada on a Working Holiday Visa with the intention to road trip across the whole country. Since the visa allowed me a whole year for my stay I thought my plan should be manageable. I quickly learned, it wasn't. Canada is massive and unless I planned to spend the whole time behind the wheel sightseeing from the window of my car I quickly had to change my strategy. 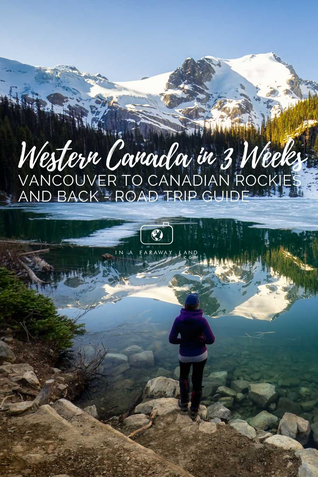 I decided to shift my focus toward the Canadian Rockies and Western Canada, particularly the two most Canadian Provinces: Alberta and British Columbia. I know that for many of you planning and executing a road trip across Western Canada will be an experience of a lifetime, and rightly so. I spent over 14 months travelling between BC and Alberta. 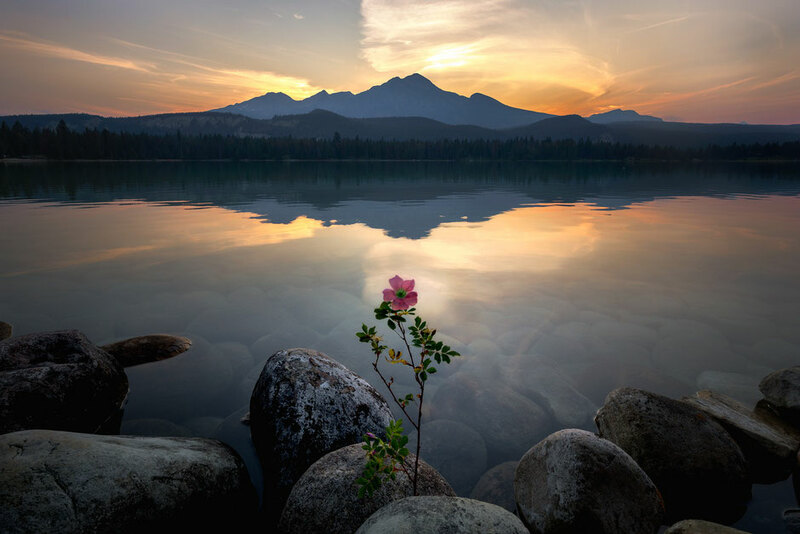 I've completed countless hikes and photographed many of the iconic spots in the Rockies. 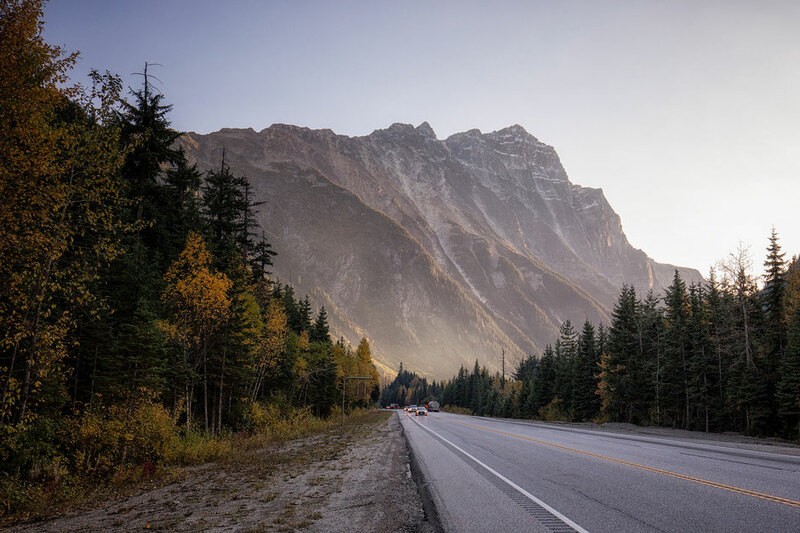 I have put together an outdoor guide to Canada and with clear conscience I can tell you it will be your best online resource for planning your road trip across Western Canada. After seeing how popular of a vacation spot Canada is in the summer, the number one advice I can give you is to plan your trip well in advance. Especially if your holidays fall within the busiest month of July and August! Often by January many hotels are booked out for the summer. As always my guides are completely free and if you find them useful, it would be awesome if you use the affiliate links provided in this post to book your accommodation, car rental or motorhome. You are also welcome to share it with whomever might find it helpful. If you have any questions regarding the road trip plan or need an advice, leave them in the comments! I always answer! The itinerary starts in Vancouver, one of the biggest transport hubs in western Canada. It then heads north on the "Sea to Sky Highway", stopping in Squamish and Whistler. After spending a few days it the mountains it will take you into the Okanagan Valley, famous for wine and geothermal hot springs. 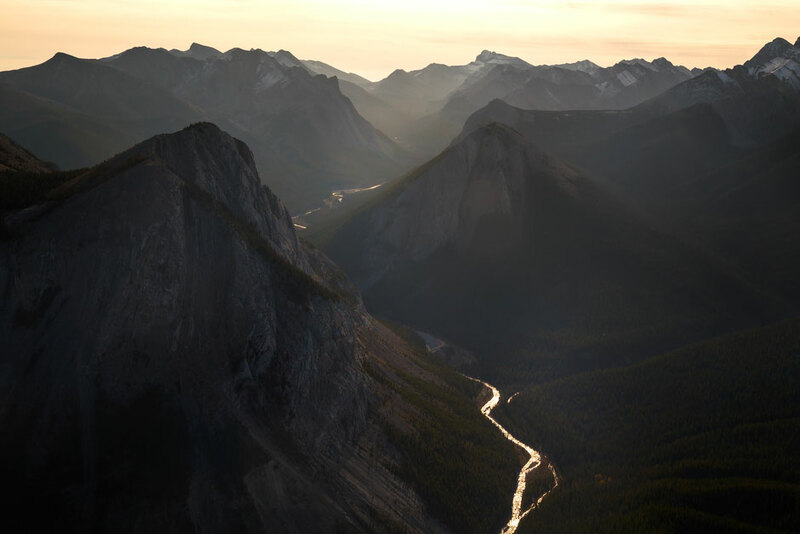 Afterward, it'll be time to focus on the best part of the road trip - the Canadian Rockies. 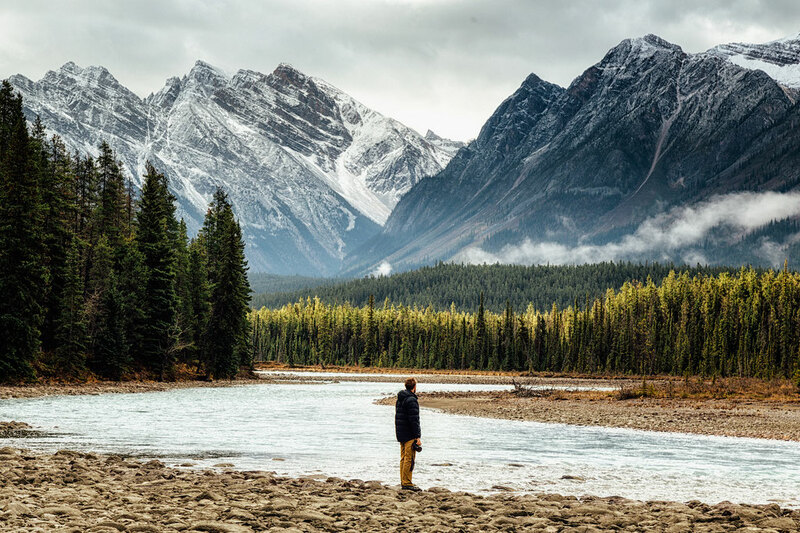 You will spend some time around quaint little mountain towns: Canmore, Banff, Lake Louise, travel through the World famous Icefields Parkway and visit the largest National Park in the Canadian Rockies - Jasper. On the way back west to Vancouver this guide will take you via Wells Gray Provincial Park and back along the Sea to Sky Highway to give you a chance to see all the things you didn't manage to see on the way up. Unless you plan on being in the car most of the time, I wouldn't recommend trying to tackle this distance in less than two weeks. Three weeks however is in my eyes an optimal time. We all tend to rush through our lives, so giving yourself time to really take it all in every once in a while will do you some good. 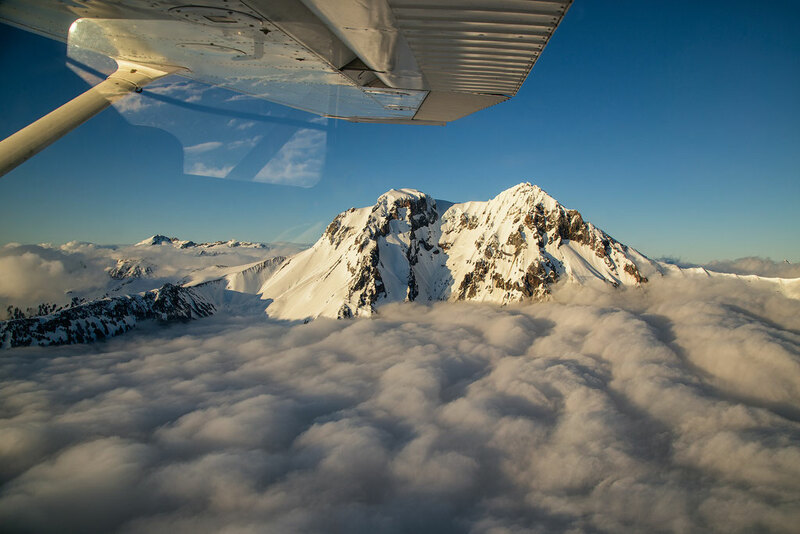 If you have more time, consider visiting Vancouver Island or complete one of the awesome backcountry trips in the Canadian rockies. 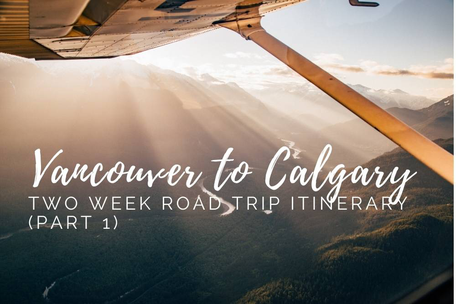 If this journey isn't exactly what you're after, I have also made itineraries for the voyage from Vancouver to Calgary, or Calgary to Calgary road trip focused solely on the Canadian Rockies. Below you can find the map of the whole itinerary. By clicking on the top left of the map you will find separate layers marking the route, photography spots, hikes, the points of interest and many campsites. To hide/show different layers mark the check box next to the layer's name. You can also click on the icons on the map to see names of the places. I will be talking about them as I break the itinerary down day by day. Indisputably the best way to travel around Canada is in a Motorhome. With a camper, you’re never left with hotel bills and you’ll have the opportunity to be in the right place at the right time only having to pay small campsite fees. When planning your road trip you can search through all the biggest campervan rental companies using Motorhome Republic booking search engine. A real time saver. This itinerary travels in the region of 3,000km. This is important as you have to prepay for your kilometres if you rent a campervan. If you decide to rent a smaller compact car and bring your own camping gear (or stay in hotels) use Discover Car Hire - It's my go to website when booking a car. If your motorhome doesn’t already include it make sure you buy a compulsory Parks Pass they cost 136$ per vehicle which includes up to 7 people. The toll gate where you can pick one up is when you'll be driving on the Meadows in the Sky Parkway as you enter Mount Revelstoke National Park. I personally recommend campsites operated by Canada's Park Authorities. 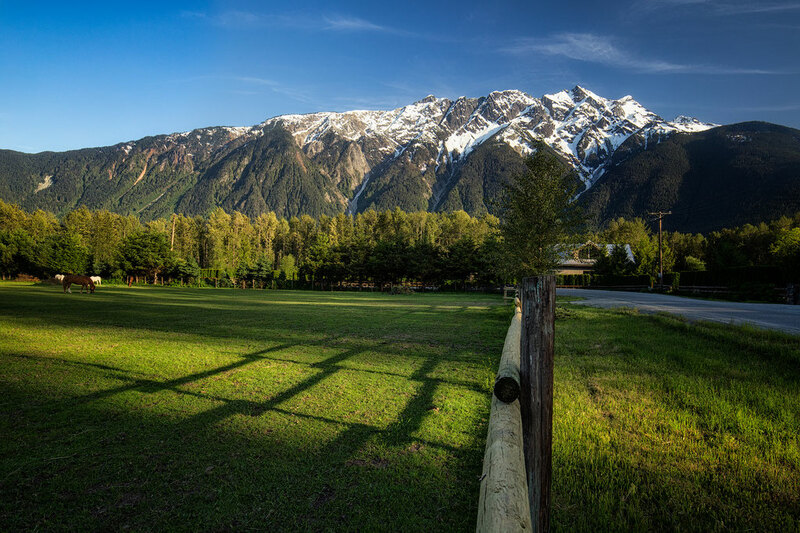 Most of the campsites in the province of British Columbia are around 40$ per site per night. Campsites in Alberta are slightly cheaper and you can expect to pay around $30 CAD/per site per night. One site can fit up to 6 people so travelling in a group can be advantageous. In the peak summer months (July and August) you will find it very handy to book the sites at least 3-4 months in advance. The sooner the better. If you've been following my website for a while you'll know that I am not a city fan. I always design my road trips around nature. This one is no different. Although I have heard good things about Vancouver I always tell anyone who plans a road trip, and has very limited time frame, to not waste it on cities. They are all similar after all. If you want to see cities with lots of history go to Europe. When you come to Canada focus on its beautiful landscapes! Your first venture will be the drive along the Sea to Sky highway. You will spend your first two nights around this area. This road will be your gateway to Squamish and Garibaldi Provincial Park, eventually ending in the resort town of Whistler. 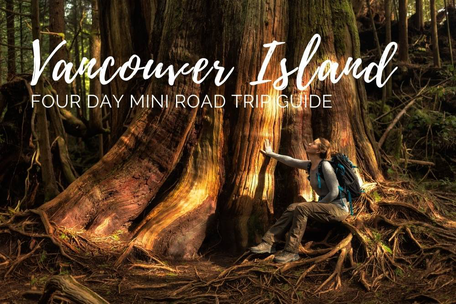 I have gone into much more detail on the Sea to Sky Highway in a separate post outlining the best stops and activities to do along the way, as well as top picks for accommodation! From Whistler to the Okanagan it's a 400 km/5 hour drive via the Pacific Coastal Mountains and the rolling hills and valleys of the Okanagan. You will continue North East on Highway 99. Two of my favorite stops along the way are Nairn Falls and the tiny Joffre Lakes Provincial Park. 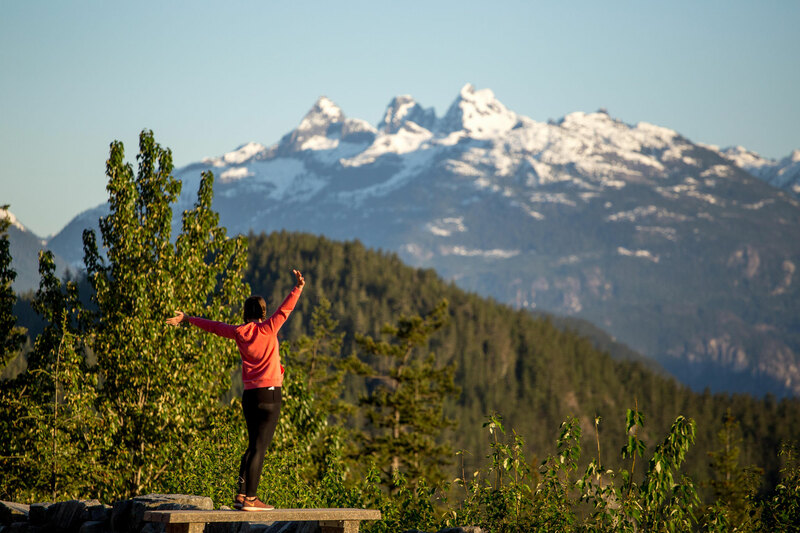 If you leave Whistler early you can plan a stop at either for a quick hike. You'll be driving back the same way, so if you don't have time to stop here on the way up, you can do so at the end of your road trip. 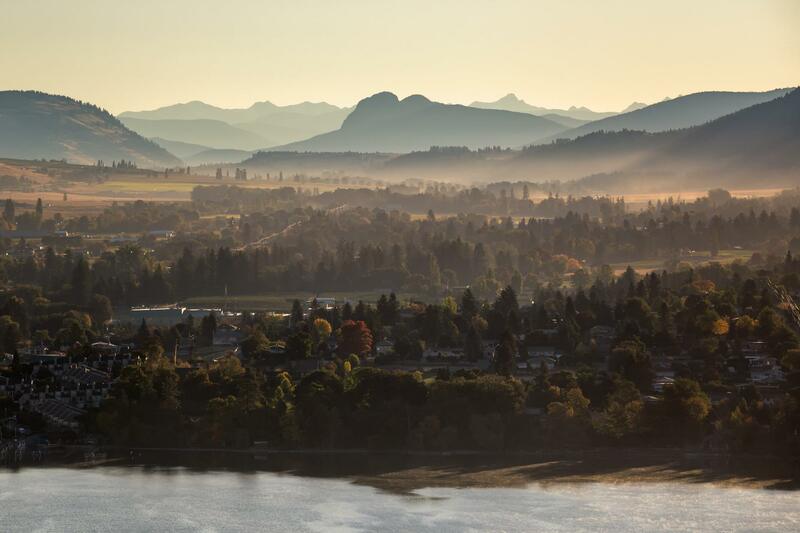 Due to the microclimate and milder temperatures than the rest of the country, the Okanagan Valley with it's countless wineries and fruit orchards became the Napa valley of Canada. Purchasing fruit in the local markets along with wine tasting at one (or several) vineyards are some of the must do's here. Vernon, Kelowna and Penticton are all cities in the Okanagan and boast many of the same attributes. 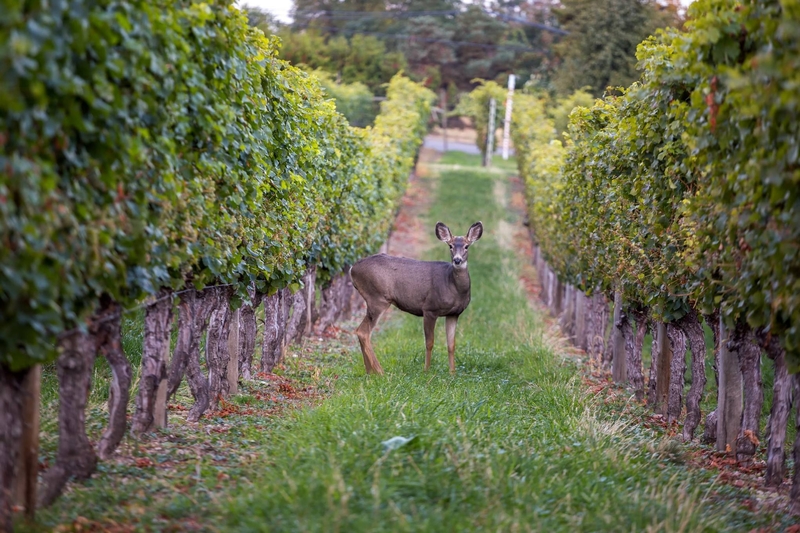 They all lie on the shore of the Okanagan Lake and each have their own wineries and vineyards. It's a very relaxing place when you venture out away from the city centres, life moves slowly and it's a nice chance to relax after exploring Whistler. Spoil yourself and book a tour around some vineyards. You can also stock up on wine and fresh fruit for the rest of your road trip! 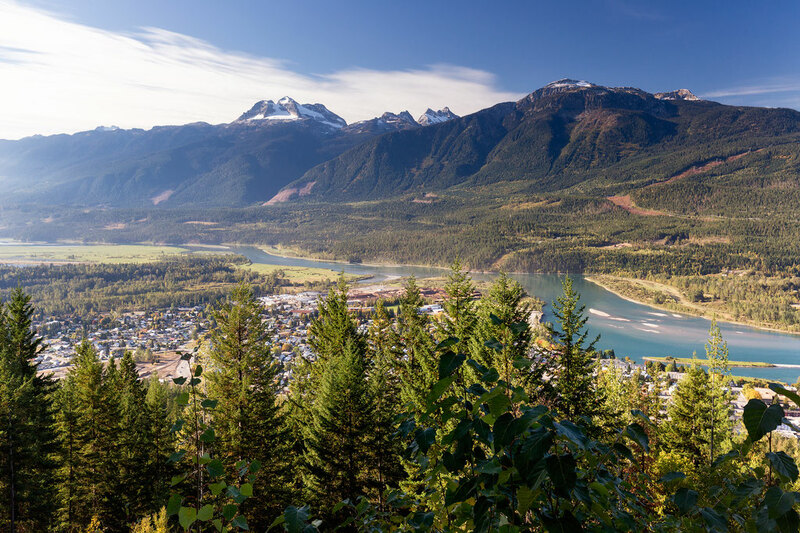 Your next destination after the Okanagan will be Revelstoke with a break in between for a soak in the hot springs. You will take the 97 North first then Highway 6 East towards Nakusp. It's a stunning drive through hilly meadows. You can start to feel the earth around you getting bigger, rougher and more jagged. This whole area has been created by the force of nature. One of them is the intense geothermal activity happening underground. 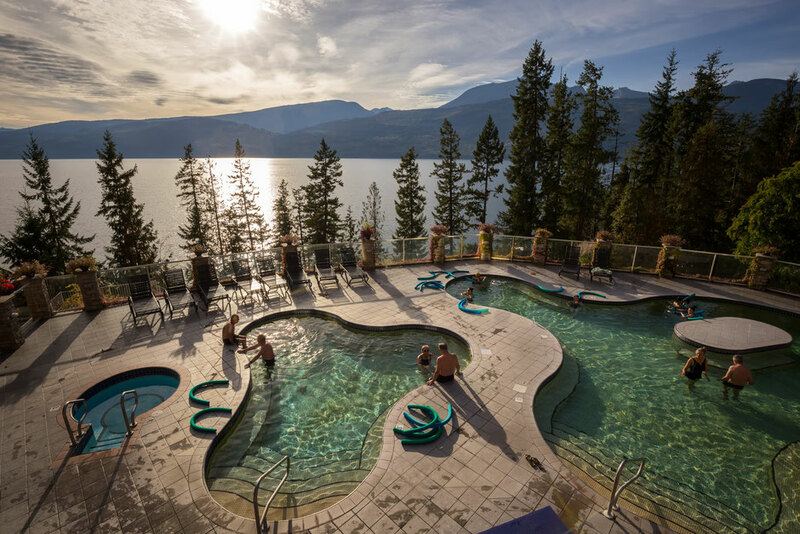 When driving from the Okanagan valley to Revelstoke you should stop at the Halcyon hot springs or Nakusp hot springs for a chance to soak in the mineral rich water. Nothing defines "holiday" better than relaxing in a geothermal pool while gazing at the beautiful views ahead. Wouldn't you agree? 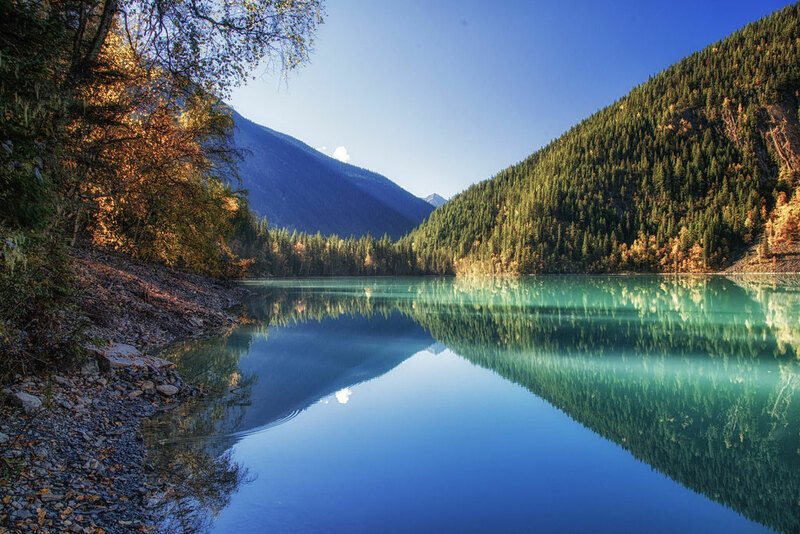 On this section of the road trip there are two ferry crossings both of which take you across the Upper Arrow Lake. Both are free of charge and leave at regular intervals. The first, the Needles Ferry leaves every 30 minutes all day and the second the Shelter Bay Ferry leaves every hour finishing at midnight and starting again at 5am. They both operate on first come first serve basis and no prior bookings are required. 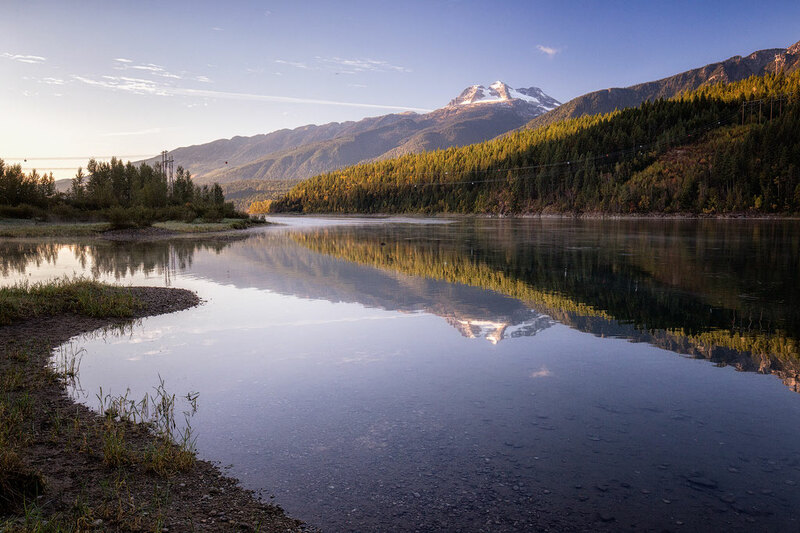 After the second ferry crossing it's an hour drive to Revelstoke - the gateway to the Glacier National Park, where you will spend your 4th night. The 26km parkway is a windy uphill drive that is home to many viewpoints and lots of wildlife. If you are not a hiker, this is your chance to summit a mountain without any effort. 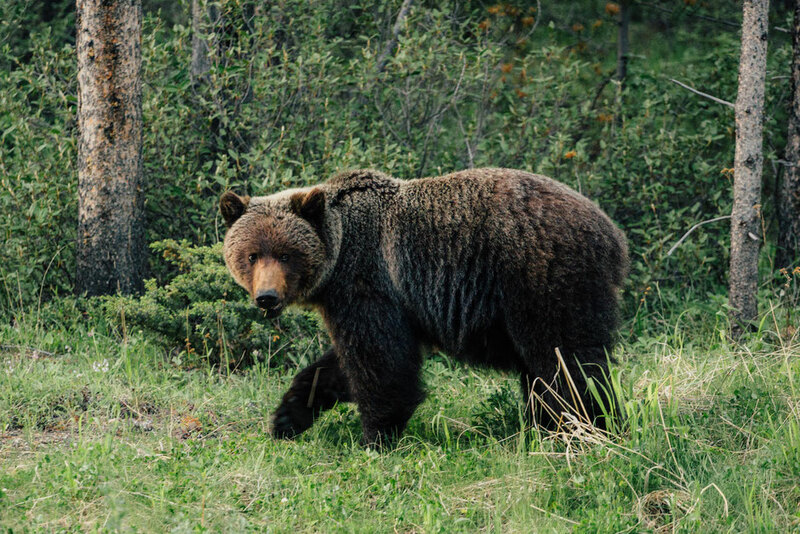 Grizzly bears are a common sight near the summit and a myriad of hiking trails can be enjoyed at the top with incredible mountain vistas. Hint. Head there in the morning to skip the crowds and for best chances to spot wildlife! 9am - 5pm between September 8th and October 11th when it closes for the season winter season. Another one of stunning drives in British Columbia. Roger's Pass is a famous mountain pass along Trans Canada Highway Number 1 across the Selkirk Mountains in Glacier National Park. 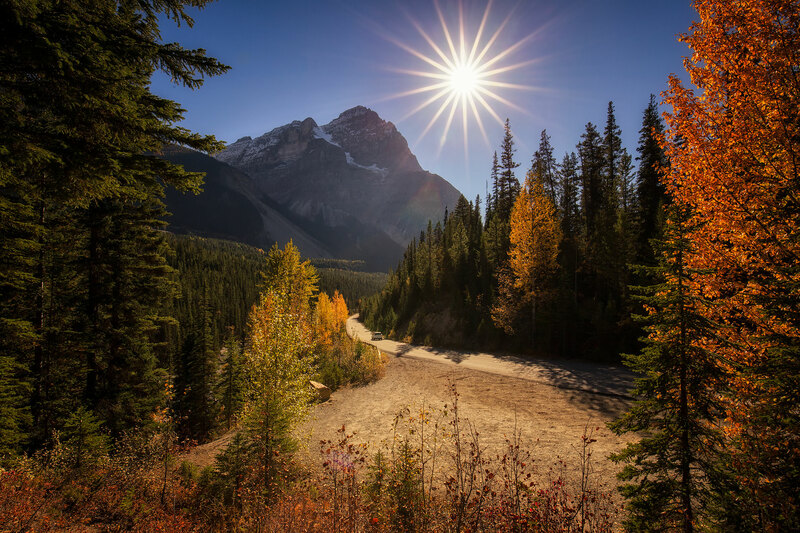 You will be driving through it when heading to your next destination: Yoho National Park. Make sure you have your camera ready, because after each turn on this stretch of road your mouth will be opening wider! Oh, and we are just getting started! 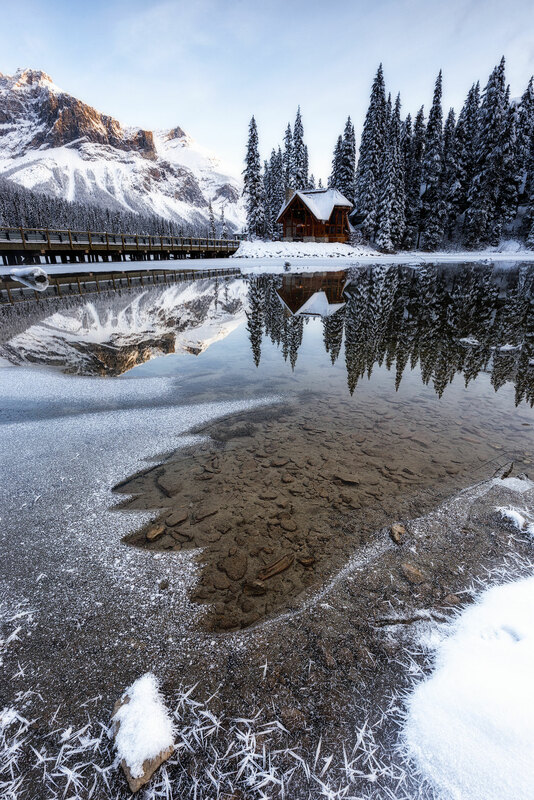 Although Yoho National Park and Lake Louise are only 20 minutes drive apart, they lie in two difference provinces. Since accommodation in Yoho is even more scarce than Lake Louise, my advice would be to base yourself in Lake Louise and do your exploring from there. It will also save you from too many check ins and check outs! If you have some determination in you, as well as tons of patience you absolutely should visit lake O'hara. I've been there twice already and it's one of those places I plan on going back to in the upcoming year. Why? Because it's freaking beautiful! This fragile area is however subjected to limited visits and saying that the reservation system is a bit outdated would be an understatement. That's why you will need patience to book your visit! If I sparked an interest in you check out my guide to Lake O'hara. It will tell you how to score a spot and visit this region of Yoho National Park. 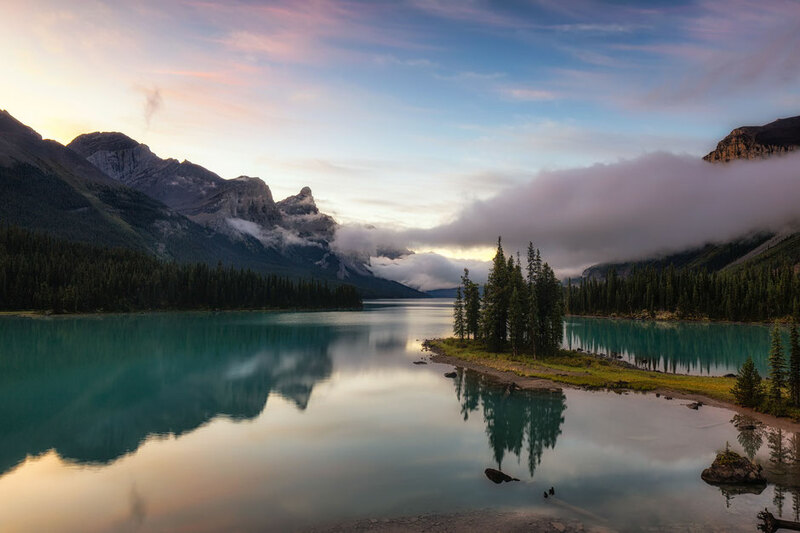 There is no shortage of insanely blue and turquoise lakes in the Canadian Rockies and Emerald lake is no exception. Where do you think it got its name from? As for the Takakkaw Falls. The whole picnic area at the base of the falls makes for a perfect lunch spot. If like me you are an avid hiker I would highly recommend squeezing in the Iceline trail in your itinerary. It starts near the base of the falls. Whenever I read any recommendations for day hikes in the Rockies, the Iceline trail always scores at the top. 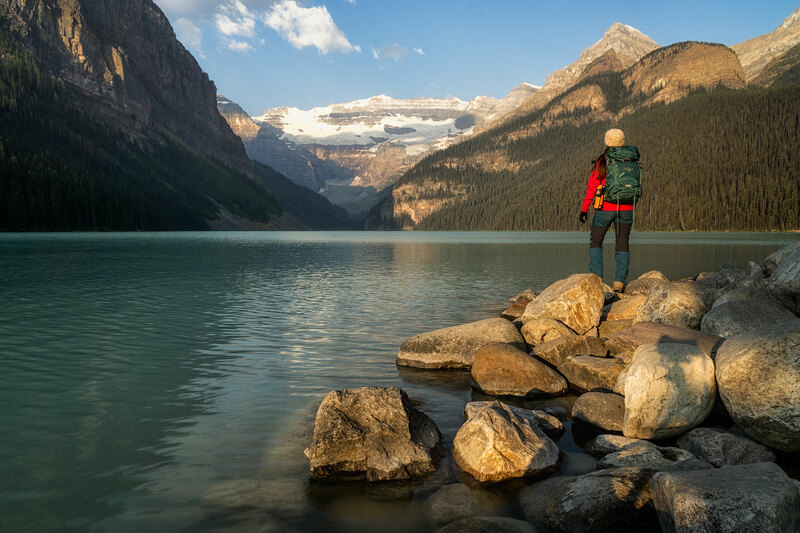 There's a lot of hikes in Banff National Park and some of the best are around the Lake Louise area. Whether you're interested in an easy lake side stroll or ticking off the summit of a nearby mountain. I compiled a list of my favourite hikes around Lake Louise so you can get an idea of what you might fancy. 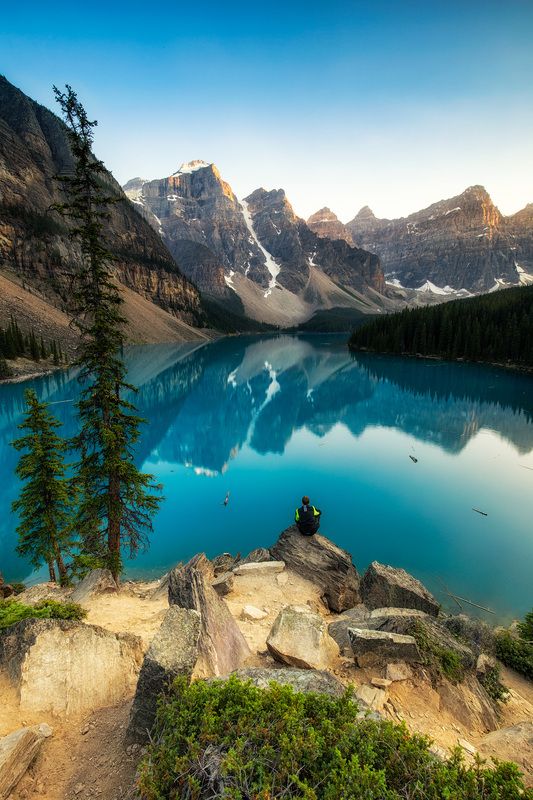 Moraine Lake is often the highlight for many visitors to the Canadian Rockies, but be warned. In the summer it gets intensely busy. My advice would be to get there as early in the morning as possible. In the summer the car park at Moraine lake can fill up as early as 7am! When that happens the road leading to the lake faces closure forcing you to rely on the shuttle service. It's worth mentioning that the road to Moraine Lake only stays open from Mid May until Mid October. If you plan a road trip to the Canadian Rockies outside of this time frame you might miss out on seeing this beauty! You've finally made it to the Bow Valley!!! I bet Whistler seems like an age away. Canmore is where I spent majority of my time when living in Canada. Call this place home for the next few days and thank me later! Don't worry about driving past Banff either we'll be visiting it on the way back up. 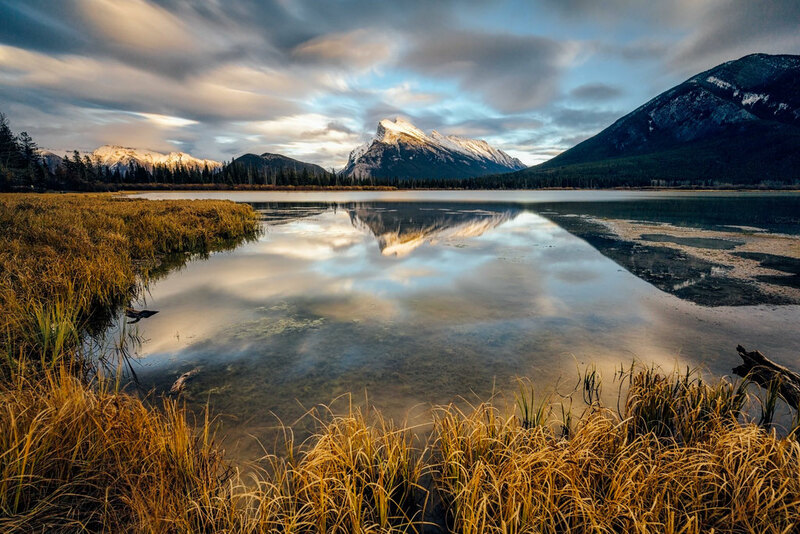 Canmore is also an ideal gateway into Kananaskis Country - an area in the Canadian Rockies that very few international tourists visit. Kananaskis Country is an amalgamation of over 10 provincial parks surrounding Canmore, many of which used to be inside the border Banff National Park until it's reduction in size in 1911. Due to the restriction on air traffic in the national parks, it's not possible to do a scenic flights there, but because Canmore (and Kananaskis Country) lie outside of the national park boundaries flight options are available around here. If you're unsure on where to go, my suggestion would be to do a scenic flight around Mount Assiniboine. Alpine Helicopters is one of the companies operating directly from Canmore. 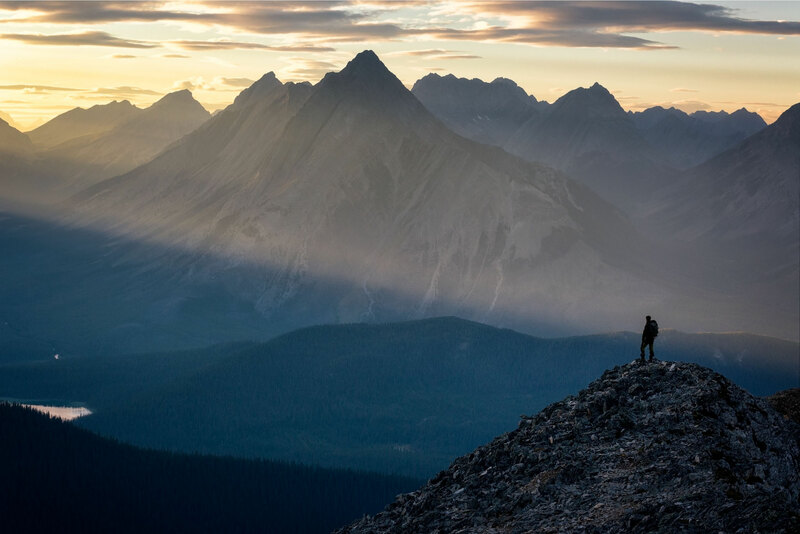 Canmore and Kananaskis Country are my favourite places to hike in the Canadian Rockies. I know I am repeating myself, but seriously guys, they are just too good not to share! Check out my post about best hikes in Canmore and Kananaskis Country that was a whole year in the making! I just didn't want to miss anything! 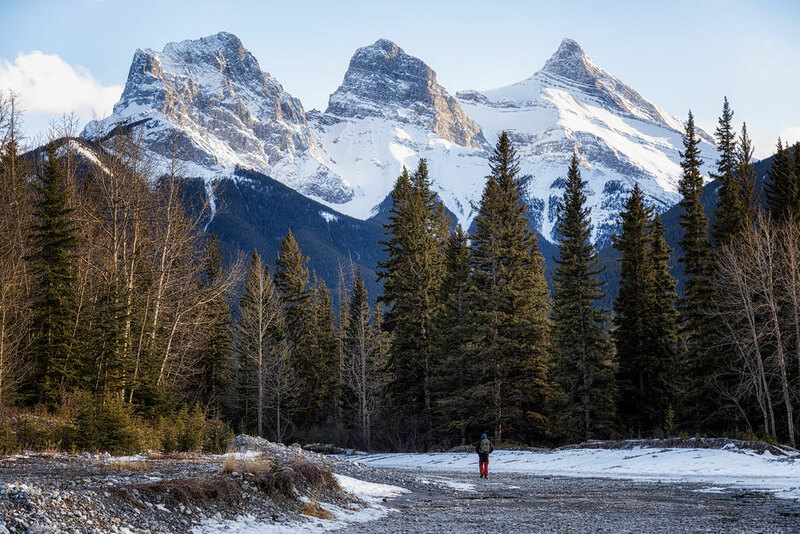 If the idea of hiking makes you cringe and you are more into photography, I've also got an article on the best photography spots in and around Canmore. Some of them don't require any effort to get to! Unfortunately wolves no longer inhabit the Bow Valley (Banff and Canmore). Mainly due to irresponsible human activity. Yamnuska Wolfdog Sanctuary is a non-profit organization that rehabilitates, and houses, wolfdogs from all over North America and it gives you a chance to learn more about these creatures. Although the animals in the sanctuary aren't strictly 100% wolf, some of these wolfdogs are extremely high content and impossible to tell apart. 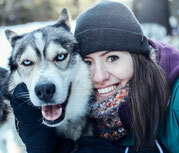 It's a fun activity for people of all ages and really shines a light on the problem of rearing wolfdogs. What's next on the agenda? Well, pick up sticks and head 20 minutes along the Trans-Canada-Highway to Banff. Banff National Park is as beautiful as they say, however to me personally the little town of Banff is a little overrated. With a shopping strip on the main street, notorious summer traffic jams and parking problems, it doesn't really scream holiday. I sometimes wonder why would anyone want to travel halfway across the World just to go shopping? Maybe as a tourist I'd view things differently but after being resident of the Bow Valley for a while, my view is kind of skewed. Anyway, Banff is probably what you've been dreaming of when planning your trip to the Canadian Rockies so the last thing I want to do is to get you worried. With a little bit of planning and booking your accommodation well in advance you'll have lots of fun in here too! That's why I've put together this itinerary. That handy piece of advice also goes for places like Whistler, Canmore and Jasper. The Bow Valley Parkway is a shorter version of the Icefields Parkway, but don't worry. You won't be left high and dry in the awesome views department. The 50 km stretch of road between Banff and Lake Louise is home to Morant's Curve, Castle Junction and my favorite - Johnston Canyon. 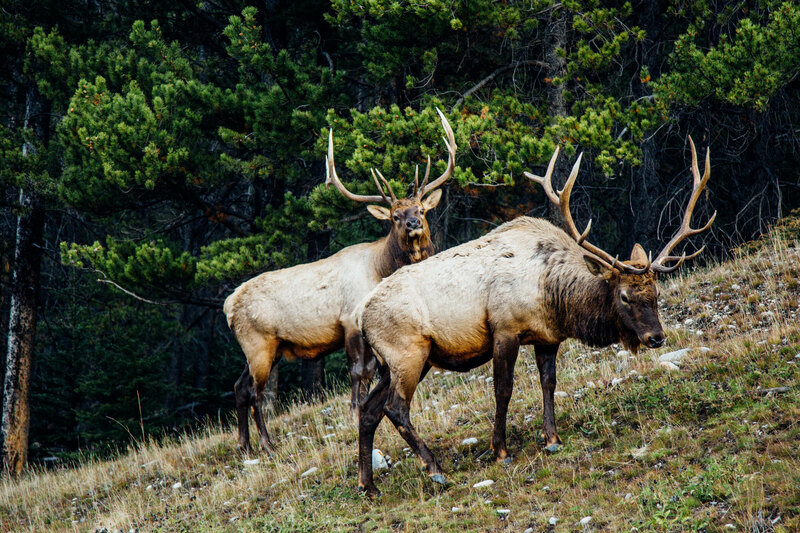 The Bow valley parkway is also one of the best places to spot wildlife in the Canadian Rockies. 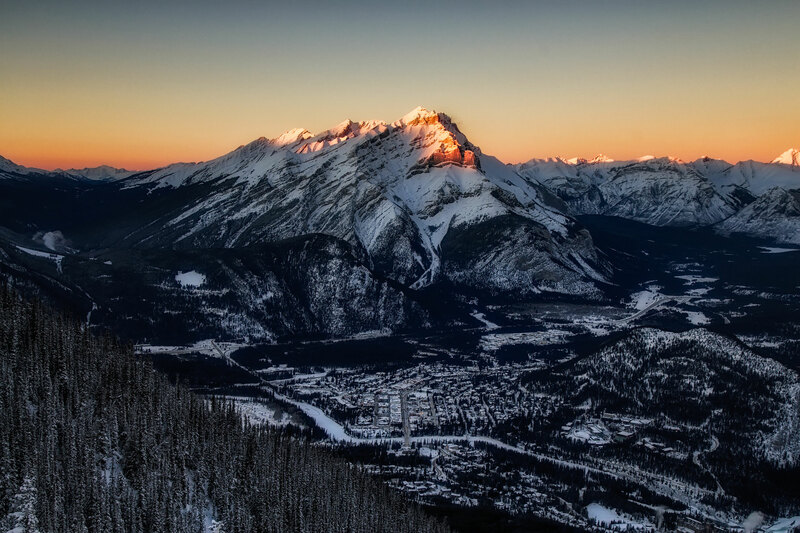 Banff is a dream location for photographer and I defy any itinerary not to include it. It’s quaint high street gets pretty crowded in the summertime and so do many of the photography spots in Banff. The best time to visit the locations is as early as possible. 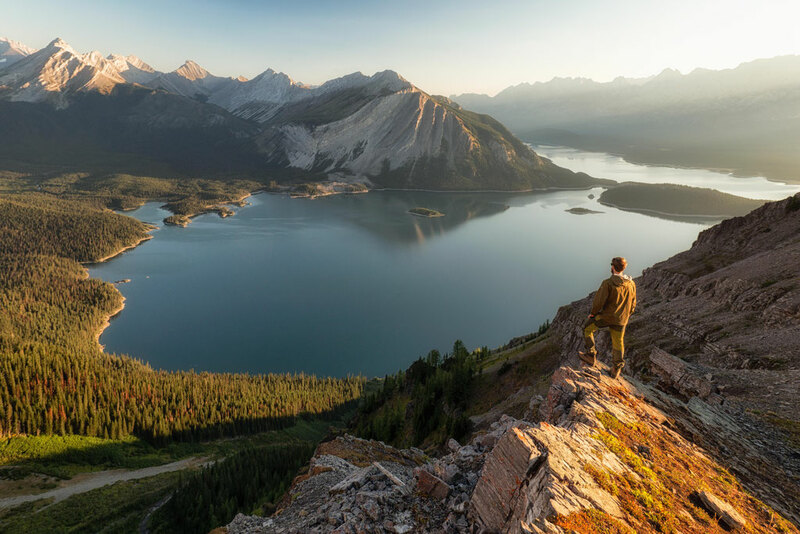 The iconic photography locations close to Banff village are Vermillion Lakes, Lake Minnewanka, Two Jack Lake, Surprise Corner or the viewpoint up on Mount Norquay. If you didn't get a chance to stop at Nakusp or Halcyon hot springs now is your chance. If you did, oh well you can always go again! 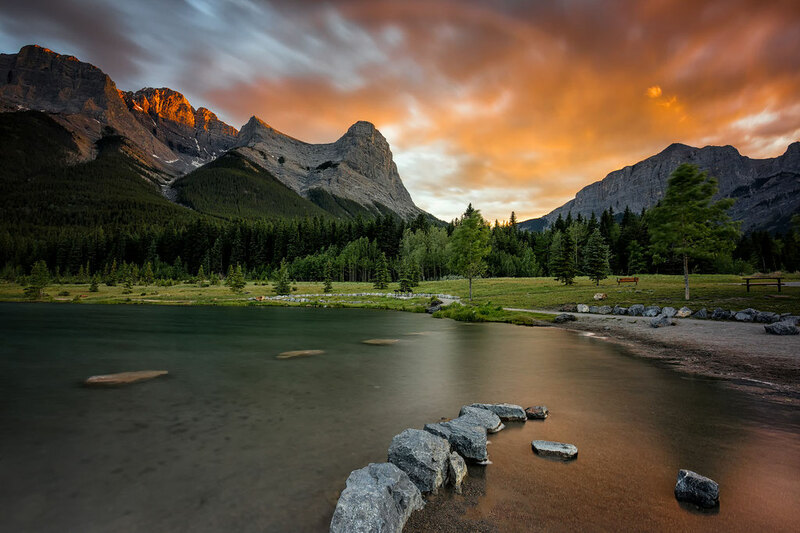 The hot springs are located on the footstep of the aptly named Sulphur mountain. The cost of the gondola to the summit of Sulphur mountains is 62$ per person which personally I think is a tad pricey. If you're able, give your legs some exercise instead. 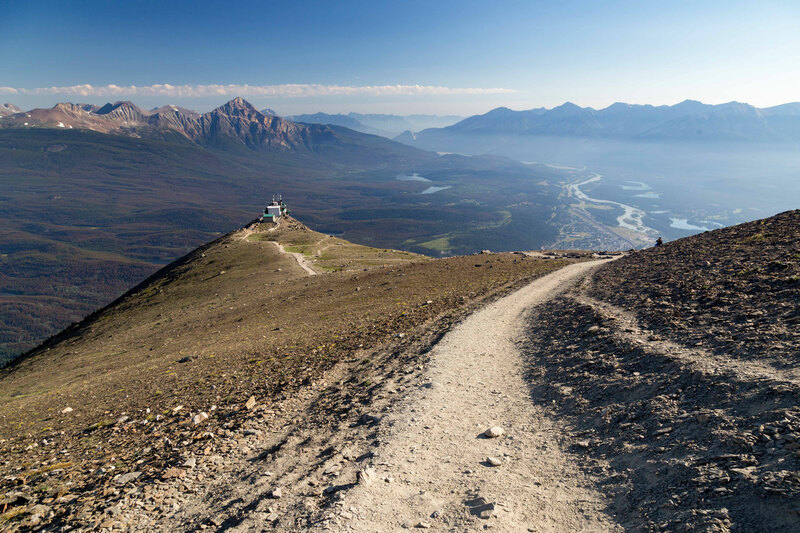 A series of strenuous switchbacks for 5.5km (3.4mi), offer short glimpses through the trees of surrounding valleys but will be nothing compared to the view when you make it to the Upper Gondola Terminal on Sulphur Mountain. Save the visit to the hotspring for later! There is no better way to relax after some exercise than to soak in the hot springs. 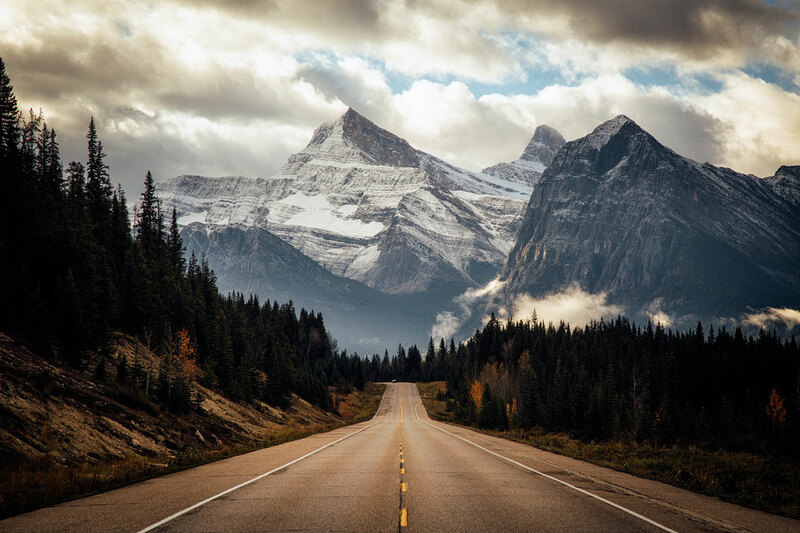 It's time for the Icefields Parkway! If you haven't heard of it already you are up for a treat. If you think what you've seen so far was impressive, wait for the Parkway! This road is the cherry on top of the cake. I really mean it! 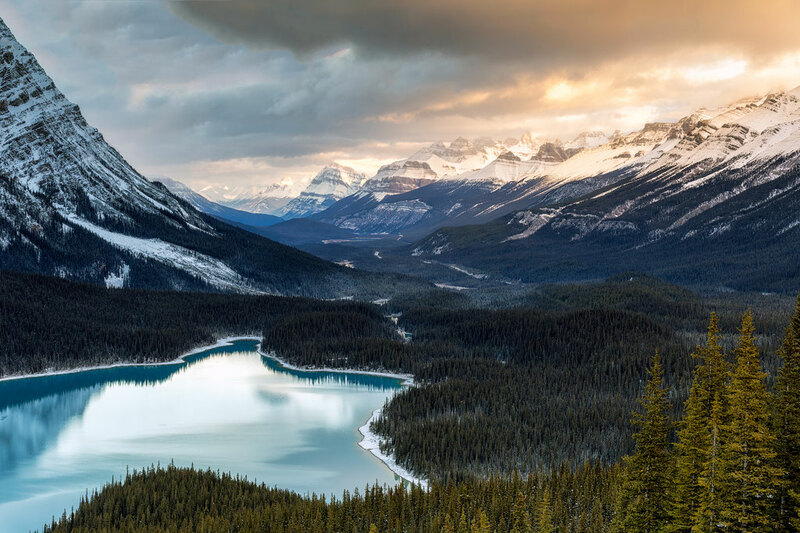 The 232 km stretch of road connects Lake Louise and Jasper encompassing what the Canadian Rockies are about: glaciers, jagged peaks and lakes with such beautiful colours, it will be hard for your mind to grasp it all! 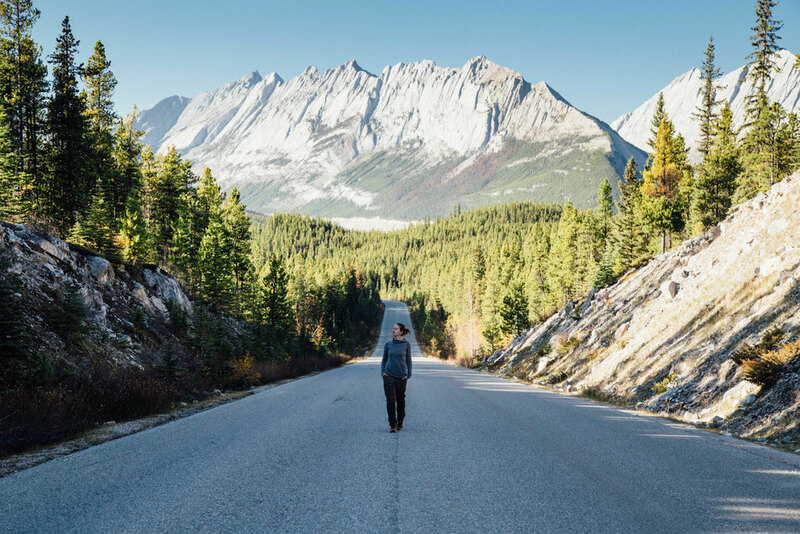 I have created a separate guide dedicated to Icefields Parkway, including best places to stop and all campsites, hostels and lodges you can stay at along the way. Do everything in your power to travel along this road for at least two days! 230 kilometres may not seem like a lot, especially in a country as big as Canada, but there is so many beautiful spots along the way, it would be a shame to just only spend one day on it. Hint: Accommodation on the parkway is very limited so make sure to book as far in advance as possible! Wow so you've just completed what National Geographic called "One of the Most Spectacular Drives in the World". How does it feel? Pretty good right? Well there's even more to come. 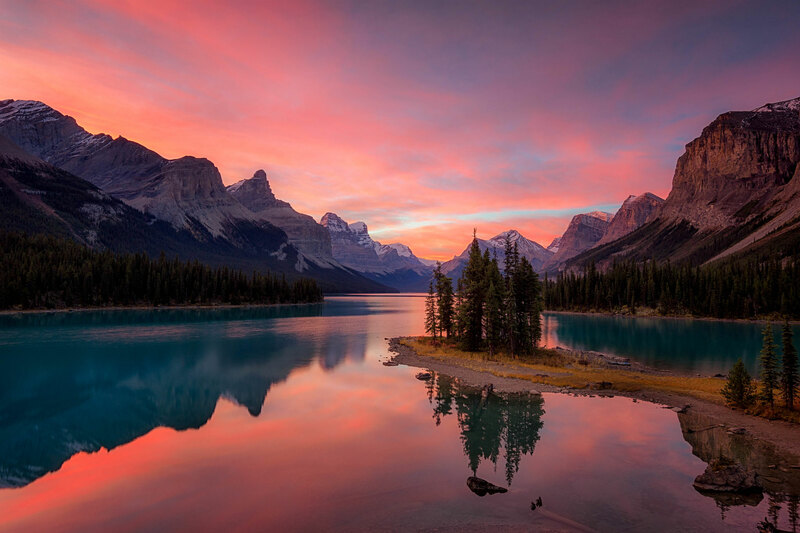 Jasper is a small town that lies on the northern point of the Icefields Parkway. It's picturesque streets are home to many restaurants and it's location makes it great hub to nestle down for a few days whilst you explore the area. As well as Squamish, Whistler and Banff, Jasper has its own gondola too. It costs CAD 45$ and offers spectacular panoramic views from the top. You can hike to the top but it’s 1000m elevation difference from the town. I haven’t yet attempted it. 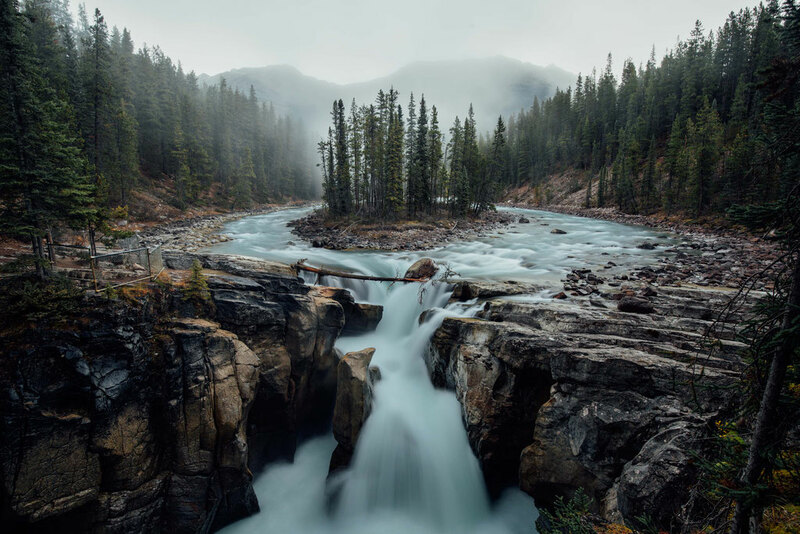 Jasper National Park is the biggest of the 7 parks that are collectively honoured with the title of being a UNESCO World Heritage Site in the Canadian Rockies and more area equals more hiking trails. Jasper has some of the best in the world. 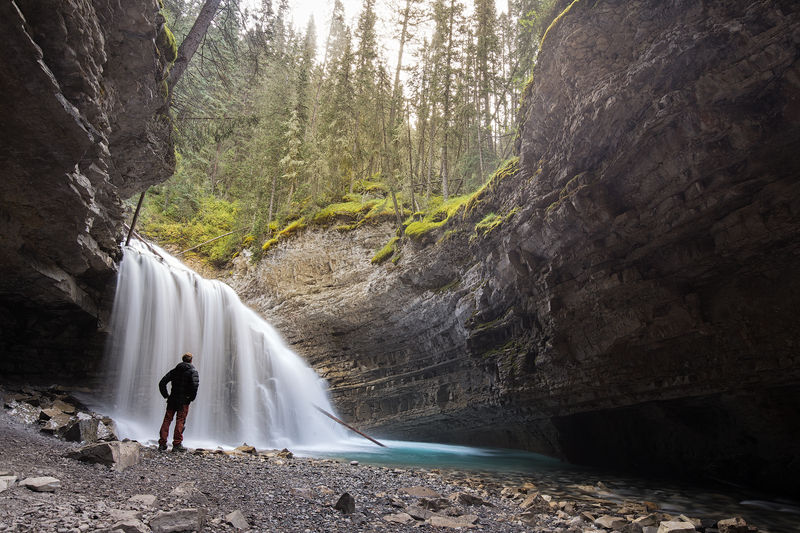 There are so many hiking trails in Jasper that you'll never be able to do all of them but you'll certainly be able to give some of them a go. 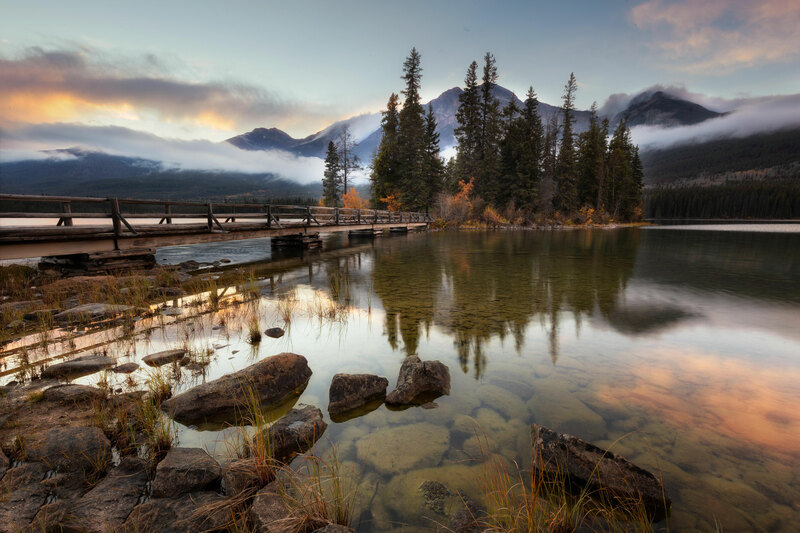 Some of the most popular ones in the area are the stroll along Maligne Canyon, The Valley of Five Lakes, Bald Hills & Sulphur Skyline. If photography is your cup of tea then Jasper has some seriously epic locations for you. 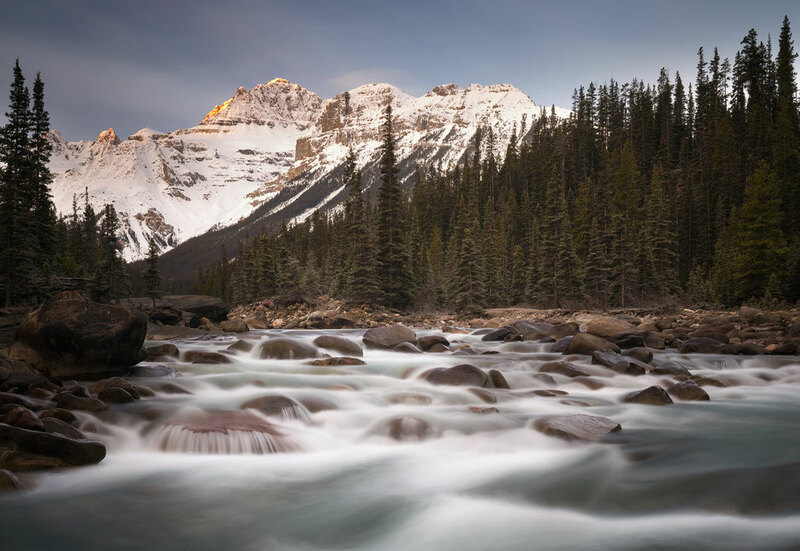 Reflecting lakes, raging rivers and jagged mountains are common here but to make the most of your time in Jasper, read my article, Where to get killer photographs in Jasper National Park. Spirit Island is one of those iconic locations in the Rockies always appearing on everyone's instagram feed. If you are looking for the easier way to get there, then a cruise is your answer. You can pre book them online (if you are travelling in the high season booking in advance is a good idea). Keen photographers will be saddened to hear that the cruises are not licensed to operate at sunrise or sunset. If you want to experience those times you have to get there via Canoe, Kayak, or via a boat with an electric motor. I hardly doubt any of us travel with one in their bag so I've gone more into the possibilities on my multi-day paddling guide to Maligne Lake. 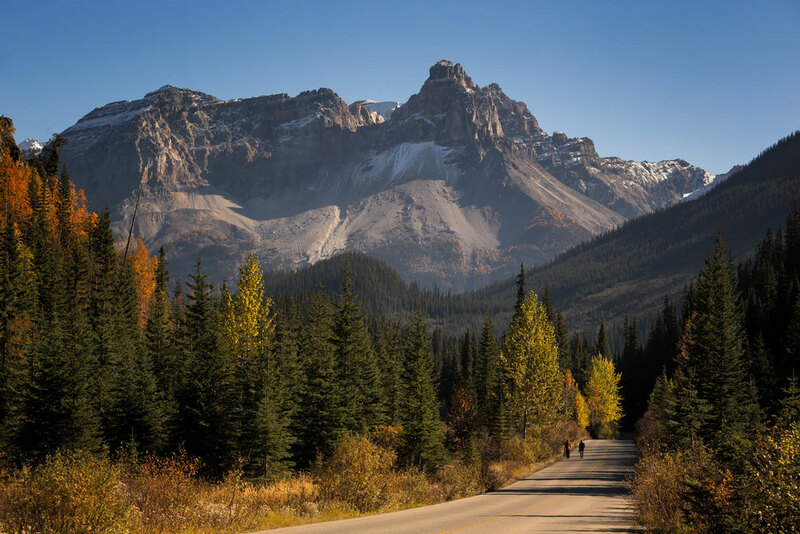 The road leading from Jasper to Maligne lake is also a stunner and black bears are a common sight here. 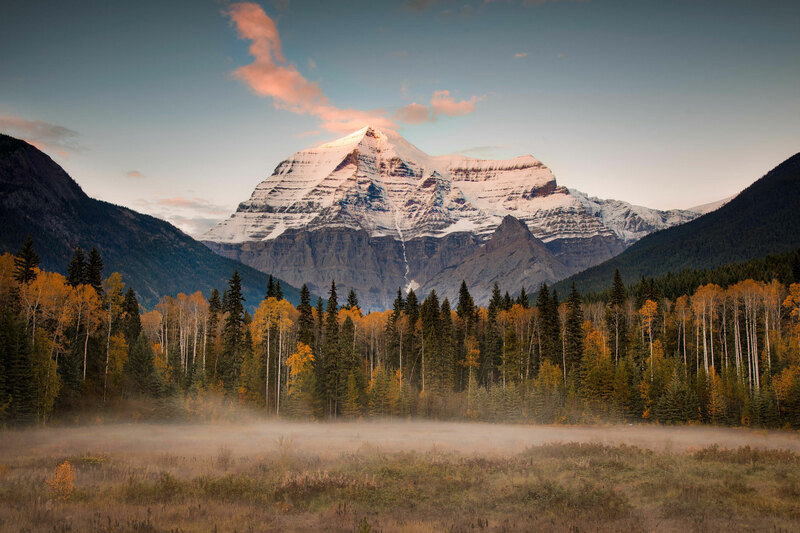 Heading west out of Jasper along Highway 16, you'll pass the tallest mountain in the Canadian Rockies, Mount Robson. 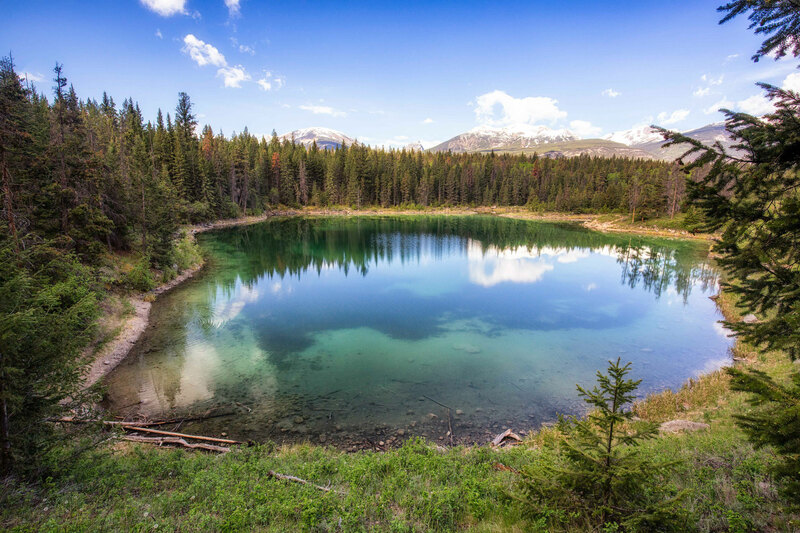 The visitor centre is ideally located to snap a picture of it or get some last minute trail information if you're planning on doing the Berg Lake Trail - another awesome multi-day hike in the Canadian Rockies. Hiking or biking part of it, to Kinney lake only, is an alternative for those with less time on their hands. 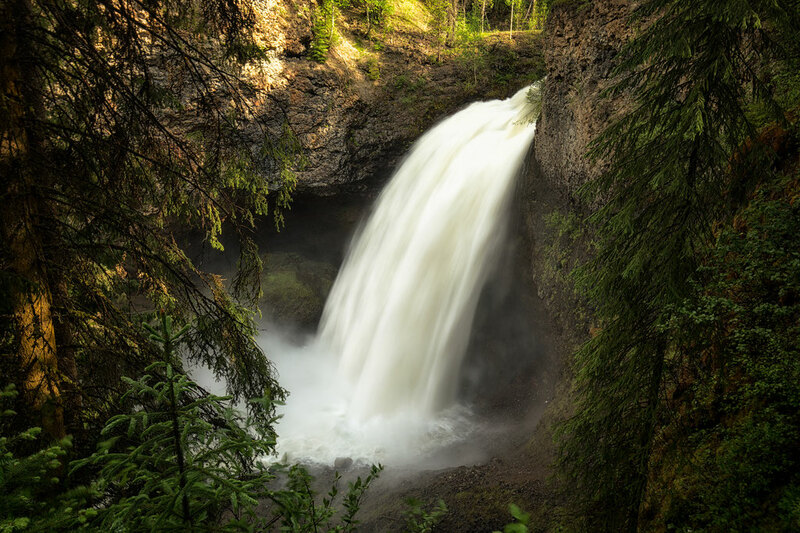 The next stop - Clearwater is the gateway to Wells Gray Provincial Park. After checking into your accommodation or campsite you can visit one of the famous waterfalls along the Clearwater Valley Road. 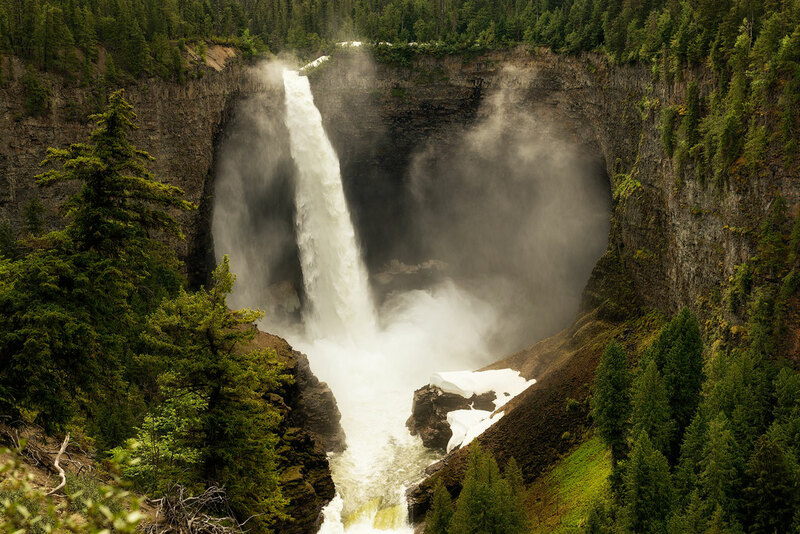 The first of which is Spahat Falls, the second being Moul Falls and lastly, but certainly not leastly, the iconic Helmcken Falls. 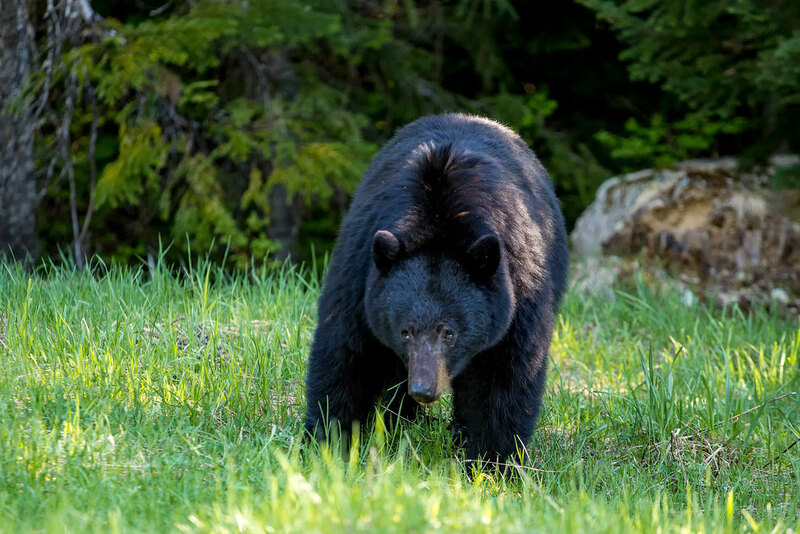 Bears can often be sighted on these trails and at the roadside so keep an eye out for them. 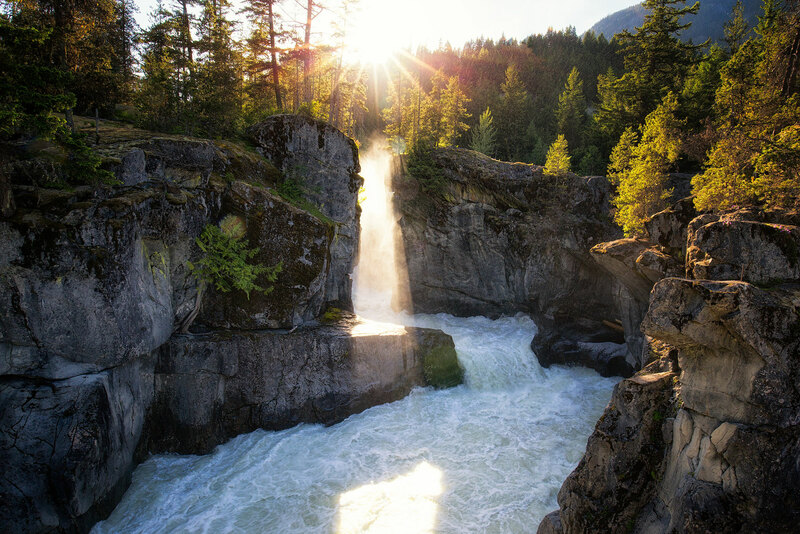 If you're feeling adventurous then consider going White Water Rafting along the Clearwater River. The river has everything from Class 1 calm water to extreme class 6 canyons. Although the canyons aren't commercial raftable it's still an awesome site to see. It's finally the time for the last leg of your awesome road trip! 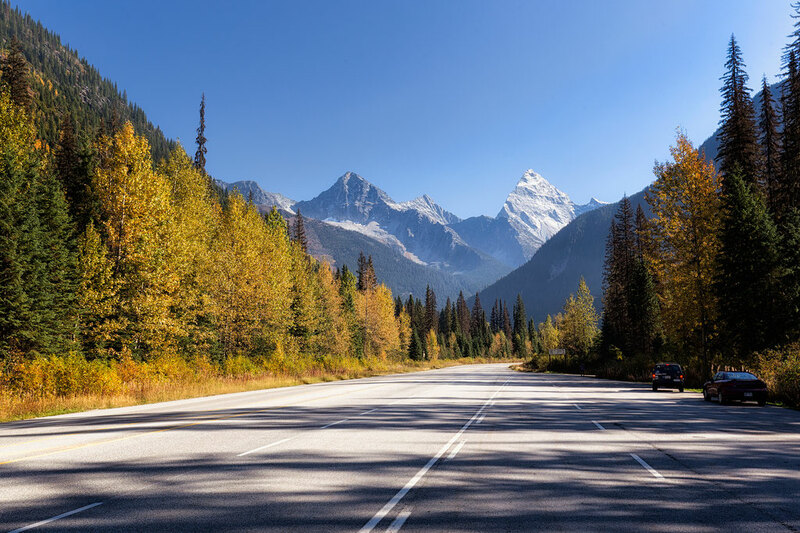 If you are running out of time you can follow highway number 5 from clearwater and join Trans Canada Highway 1 and be back in Vancouver within 5 hours. I recommend however to travel back the same way you came up, that is highway 99. The views along this road are way more spectacular. If you haven't stopped at Joffrey Lakes at the start of your journey you should certainly do it now. This tiny provincial park packs one hell of a punch! 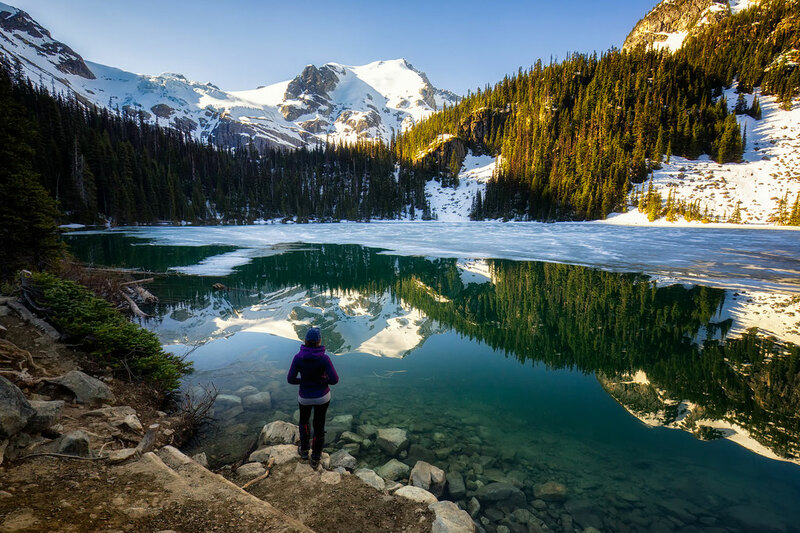 The first Joffre Lake, framed spectacularly below the hanging Matier Glacier, is only a 5 minute walk from the trailhead car park. The next two lakes are a bit harder to get to, but worth every effort. 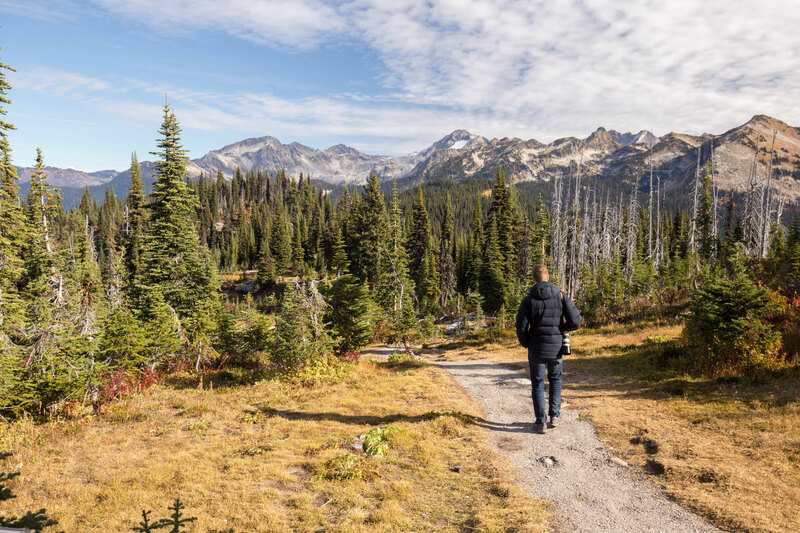 The 10km return (6.5mile) hike to the Upper Joffre Lakes should takes around 3.5 hours to complete (even though at the trailhead it says it's 4 hours one way!). 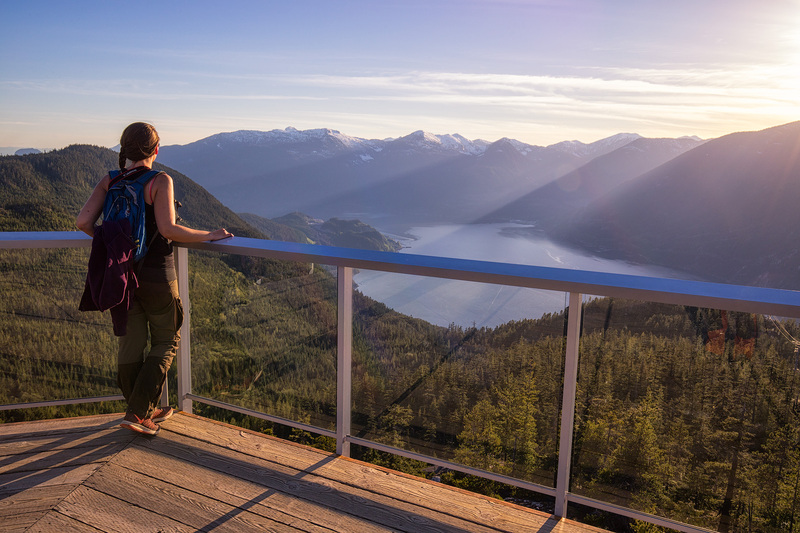 It's one of the top hikes in British Columbia so make sure you don’t miss out. You can stay your last night in either Pemberton or if your flight leaves early the next day, consider staying your last night in Vancouver. That's it! I hope you will have an epic time travelling through Western Canada. As always any feedback is welcome. If you have any questions about this itinerary leave a comment below. I am always happy to help out! 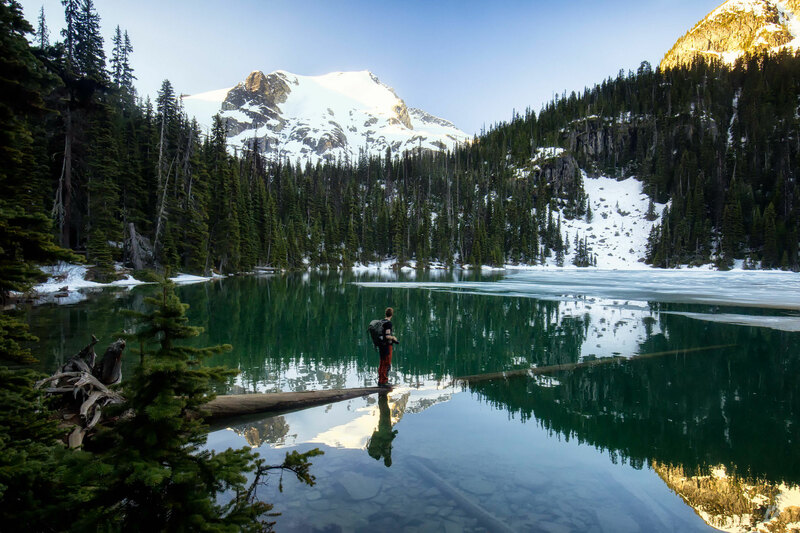 If you are looking for a way to extend this road trip, consider visiting Vancouver Island or complete one of these awesome backcountry trips in the Canadian Rockies. Happy travels!